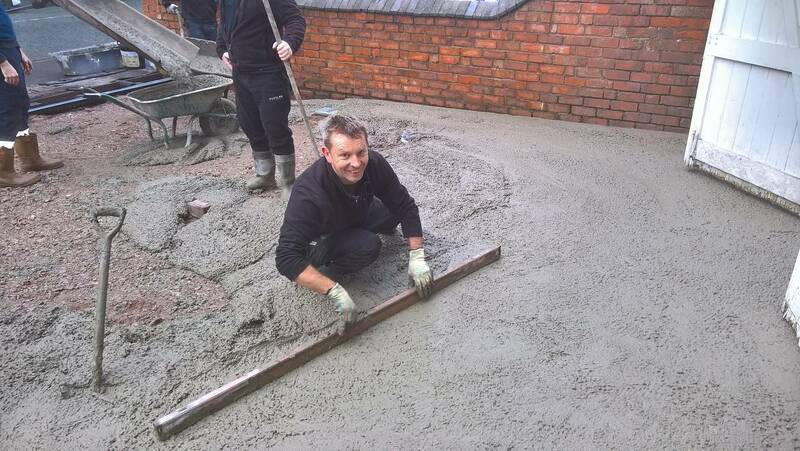 Ever wondered how we create the perfect patterned driveways in Wolverhampton at Cobblecrete Ltd? We use the finest quality materials along with your specific requirements to create the most beautiful driveways you have ever seen! By working with us, we can make any driveway tailored to your commercial or domestic project, and with a range of designs, patterns, colours, and styles to choose from, we guaranteed to have something for you that you’ll love! For all driveways in Wolverhampton, we like to make sure we are helping you every step of the way in the design process so that we can achieve the best possible outcome. The first initial step for getting your beautiful new driveway is us coming to your home for a full inspection, and chat about what you want your new driveway to look like and what your budget is. From here we will then design a visual plan of your driveway and how it could look, so you can see the full potential of your space before and after. If you have any specific requirements such as a particular pattern or colour, we will include this in the design and you can then make a final decision. Once you’re completely happy with the design and price, our team of expert installers will get to work right away, and in as little as a week you could change the visual aspect of your exterior! Our driveways in Wolverhampton and concrete driveways will even add value to your property! To know more information about how our driveways in Wolverhampton could help your business or to simply chat about your own driveway, feel free to contact us today! In the meantime, why not take a look at our FAQs by clicking here!